Delta Children’s Products was founded in 1968 by a father and small business owner named Louis Shamie, Sr. Wanting to provide quality products at prices that parents could afford, he grew his furniture store in Brooklyn, New York, to become one of the largest manufacturers of cribs in the world. Millions of Delta cribs have been sold globally, making the brand one that you can trust to deliver quality for the money. 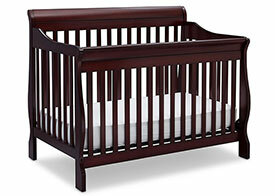 The Delta Children Canton 4-in-1 Convertible Crib continues Delta Children’s Products tradition of producing stylish cribs. This convertible design has earned top marks in reviews online, and it’s easy to understand why when you consider its many features and that’s why it’s named my top recommendation in our best baby cribs guide. The Delta Canton is intended to grow with children through every stage of life. 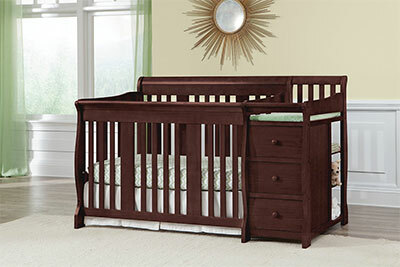 Babies can sleep within the safe confines of a traditional four-sided sleigh-style crib with fixed sides. When little ones are ready for a bigger bed, the front panel can be removed and replaced with the included toddler bed guard to keep toddlers safe throughout the night. For preschoolers, the bed guard can be removed, converting the piece to a traditional daybed. Grade-schoolers who are ready for a traditional bed can continue to use the back panel as a headboard. An easy-to-use set of conversion rails is sold separately for converting the piece into a traditional full-size bed. This four-in-one design saves parents money and allows for easy decorating. With three mattress heights to choose from, the Delta Canton is ultra convenient and safe for newborns and older infants alike. 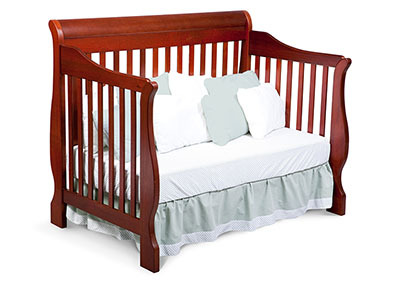 On the highest position, parents can easily place a sleeping newborn in the crib without disturbing him or her. 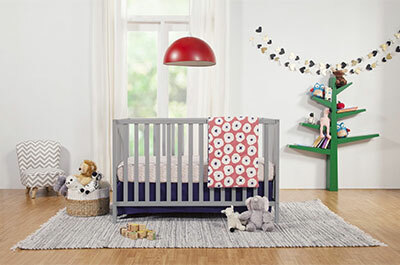 As Baby grows and begins to sit and then finally stand, the mattress height can be lowered twice to ensure that the child cannot tumble over the side of the rail. 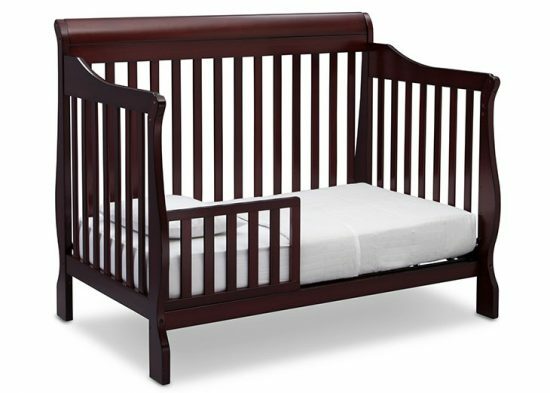 New parents who want to ensure that their little ones are as safe as can be can rest as easily as their babies will with the Delta Canton Crib. 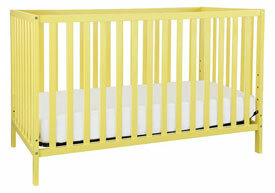 The crib has obtained certification from the Juvenile Products Manufacturers Association (JPMA), a non-profit organization that is a leader in the evaluation and testing of children’s products. In order to receive JMPA certification, the Delta Canton was put through a series of tests. 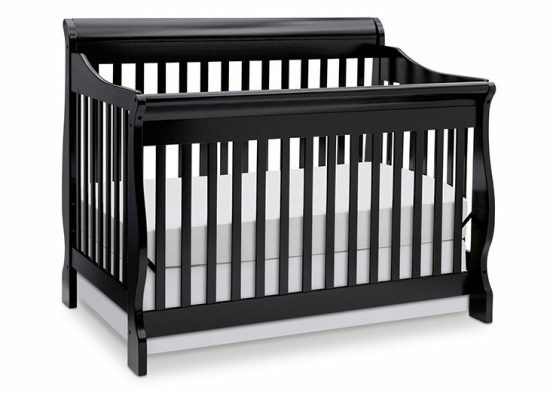 The certified status means that the crib complies with all of the safety standards established by the CPSC and ASTM and that all of its finishes are non-toxic and free of lead. 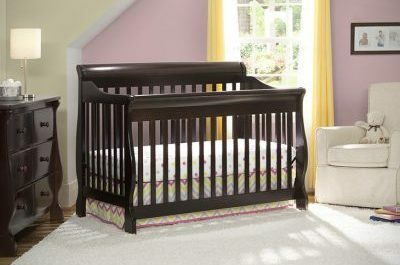 Like most infant cribs, the Delta Canton requires assembly, but parents won’t have to stress over putting it together. The crib arrives with easy-to-follow instructions and the hex key needed for the job. In addition to being simple to assemble, the crib is also quick to take apart. This comes in handy when parents are ready to convert the piece from the crib to the toddler bed to the daybed to the full-size bed. You can also purchase it with a matching dresser on Amazon. 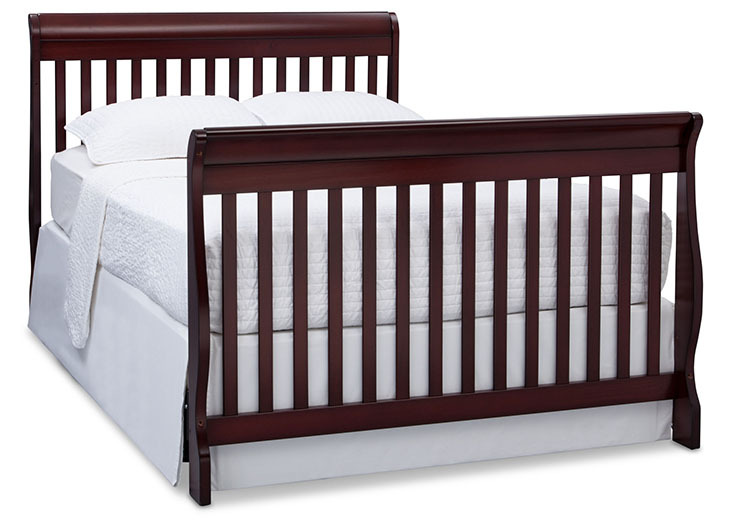 The only real drawback to the Delta Children Canton 4-in-1 Convertible Crib is the fact that the countersunk screws used to assemble it remain visible after the crib is constructed. While this does slightly detract from the look of the piece, the crib is intentionally designed that way. 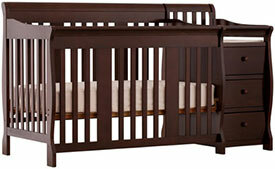 Because it is meant to grow with babies, the crib needs to be as easy to take apart as it is to put together. Cap covers for screws are notorious for being difficult to lift out when you need to access the hardware, and even well-made ones can chip and become cracked with repeated insertion and removal. This ends up being less attractive than the look of the exposed screws! Parents who want to cover the screws can purchase plugs at a hardware store to insert themselves but should be aware of the hassles that can come with screw covers. 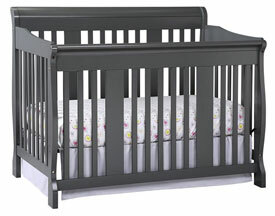 With its low price point and impressive features, the Delta Children Canton 4-in-1 Convertible Crib is an excellent choice of crib for parents that want to invest in a piece of furniture that can truly last through each stage of their children’s lives from infancy to adolescence. 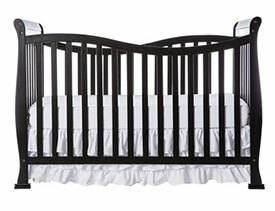 Safely designed, the crib’s timeless appeal and quality craftsmanship ensure that it will remain fashionable year after year and in good condition for just as long.